Did you hold your adjustment? What do I mean? Let me educate you on this idea. I listen! Each visit is about your progress. Did you hold your adjustment means that when you get an adjustment we are trying to correct something. Hence, your body will hold the new position of the treatment when the body is strong enough to do that hold. If your body is weak, injured, or compromised by autoimmune issues, you body may take longer to hold its adjustment. We keep working on that goal together. 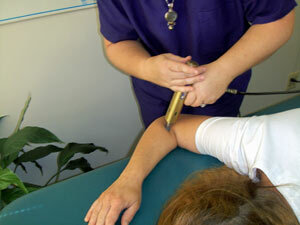 You can also use acupuncture, Reiki, cupping, cold laser and physical therapy to help you hold. I have patients that request a multitude of modalities in one day and others that just want a single treatment. The concept of holding your adjustment is not new. In fact, it is what chiropractors used to want as a goal before Obamacare days. Now doctors are told to only focus on the chief complain and move on. You will not find that here in this clinic. We do not answer to big insurance companies. We submit your paid claim but no one tells us how to practice healing. It is our scope and expertise you are seeking. Other treatments may include nutritional consulting in my clinic brings many facets of your health care into alignment so you may want to start with that as your beginning. Patients want to know why they did not know about these things that can be done to their bodies to feel better. It is amazing after a patient uses a Hydromassage bed, gets an acupuncture treatment or has a chiropractic adjustment how much more confident they feel in their ability to choose what can make them well. They can bundle and get different services on the same day or stay a course of therapy as long as they are seeing results. Call Fairfax Chiropractic today to schedule your appointment and find out what services might benefit you!